Pakistan will not ink Free Trade Agreement (FTA) with Iran, rather it will first prefer to make Preferential Trade agreement (PTA) which is already effective since long and giving the required dividends, Adviser to the Prime Minister on Commerce, Textile & Production and Investment Abdur Razak Dawood told The News. 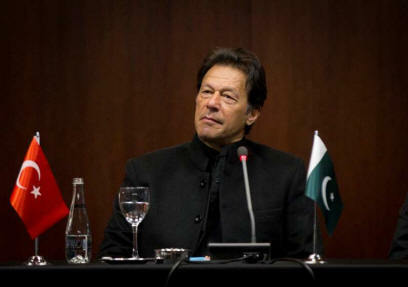 He said Prime Minister Imran Khan was paying an official visit to Iran on April 21 where leadership of both the countries would sit together to explore ways to do more trade under the PTA in the presence of US sanctions. He said in the past, Iran unilaterally imposed duties on the Pakistani items and Pakistan did the same. Pakistan’s exports to Iran just stand at the negligible $35 million under the existing PTA,” he added. When told that India, China and Turkey were doing sizeable trade with Iran, Razak said they were doing trade by establishing a specific bank. He said these countries were in business with Iran and the waiver they had got from sanctions was also short-lived. However, this time leadership of both the countries would discuss how to go advance in the presence of US sanctions. Earlier officials from the two countries were scheduled to meet on April 22-23 in Islamabad for finalization of draft for FTA but under the new scenario, it may not be held as arrival of Iranian team is not yet confirmed, a relevant official told The News. Under the new scenario, the meeting may not be held as the adviser wants to first make the PTA functional. More importantly, according to the officials of Petroleum Division, during the visit both countries would also discuss how to advance on Iran-Pakistan gas pipeline. Tehran earlier asked Islamabad to get a waiver from the US sanctions, as India had managed to implement the much-touted and delayed Iran-Pakistan gas line project. Iran is of view that there exist no sanctions particularly on gas transactions, so Pakistan should come forward and start working on the gas line implementation. The Iranian side argues that India has managed the waiver and Pakistan needs to follow the suit. Pakistan says the waiver for eight countries exists for six months and after that they will have to arrange other sources for the oil business. The official said that Pakistan was not in a position to seek the US waiver on Iranian sanctions keeping in view the recent outburst of Mr. Trump about it. However, the law firm of well-reputed lawyer Ahmer Bilal Sufi has been tasked with assessing if the sanctions were active on gas transactions. To this effect, the firm has sent 12-20 questions to the Iranian legal team. So both the countries’ legal teams are presently engaged if the US sanctions affect the IP gas pipeline project or not. Pakistan and Iran signed GSPA (gas sales purchase agreement) in 2009 under the IP gas pipeline project during the rule of Pakistan Peoples’ Party. Since then the project could not shape up, rather this mega project witnessed many upheavals in shape of US sanctions first by Obama administration, and then more harsh curbs by the Trump administration. Coming to trade, the official of commerce ministry said at present trade between the neighbouring countries was underway under the Preferential Trade Agreement (PTA) which was signed in 2006 and effective since 2007. And in financial year 2008-9, trade between the two countries surged to close to $ 1. 32 billion, but after the US and UN sanctions, the trade went down which now stands at almost $318 million out of which imports from Iran stand at $280 million whereas exports are at just $35 million. Pakistani exports dipped to just $35 million in 2018 from $350 million in 2018-9. The re-imposition of strict US sanctions by the Trump administration is the main cause for the lowest trade volume between the two countries. The Preferential Trade Agreement (PTA) is not fully functional. Subscribe to the Economist to read the full content. Nestle cuts hundreds of Pakistan staff amid global restructure. Major Changes in Federal Cabinet of Pakistan.